The bottle was found floating on the seas and adrift for nearly a century, or exactly 97 years and 309 days before Scottish skipper, Andrew Leaper found it trapped in his fishing net. 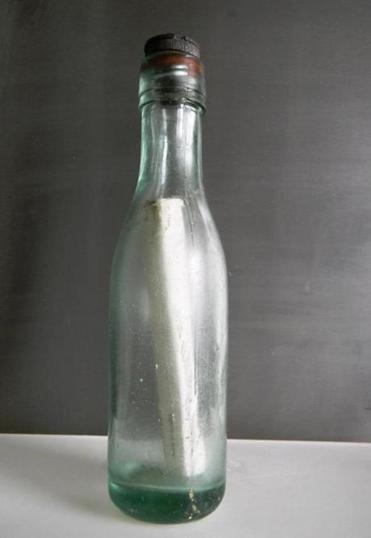 The discovery in early April this year was recognised by Guinness World Record as the world’s oldest message in a bottle, beating the old record by more than 5 years. In 1914, Scottish Captain C.H. Brown of the Glasgow School of Navigation released 1,890 bottles as part of a government experiment to map the undercurrents of the seas around Scotland. Each bottle contained a postcard asking the finder to record details of where the bottle was located. The letter also promises a reward of six pence, according to AP. The 6 pence coin no longer exist as it was discontinued by the British Mint in 1970 and completely phased out by 1980. According to the BBC, of the nearly 2,000 bottles released, only 315 of them have been found, so, there is every likelihood that Leaper's record will be beaten in the future. Sooner or later. 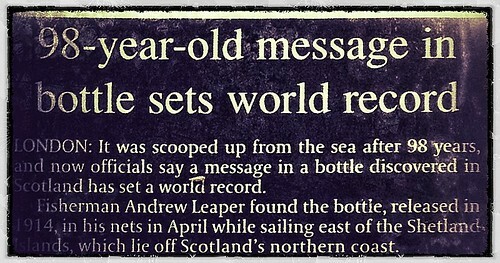 The message in a bottle discovered by Scottish skipper, Andrew Leaper. 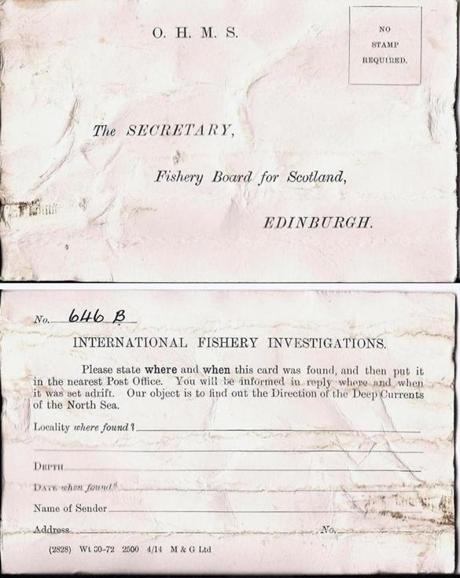 As you can see in the above picture, the postcard asks the finder to record details of the discovery and promises a reward of a six pence. Unfortunately for Leaper, the coin no longer exists but the Guinness recognition would perhaps be more valuable! Speaking of message in a bottle, how about the 'message' in a capsule in our very own backyard? During Datuk Osu Hj. Sukam's tenure as Sabah Chief Minister, he planted a time capsule containing some messages at the roundabout in front of the SEDCO building in Kota Kinabalu. It's supposed to be break-opened in 100 year's time. I wonder what's inside it? @Hartina Arssid - perhaps someone will find it in 100 year's time, or, it could be as fast as 1 year. Don't forget to put in some cash in the bottle!